I am off to Boulder, CO, for the next seven weeks, starting Monday. I am the new Site Director for the Summer Science Program (SSP) hosted at CU Boulder. I am under the impression that this job will require me to bounce between super-busy and idle, and I hope to spend some of the idle time by exploring the area. I will post photos of industrial sites and such as I find them in the area, so please stay tuned to my blog. I will also resume a ghost town related writing project that I had started back in September, so I will let you know about my progress on that as well. I have not posted on here in far too long. Sometimes, industrial archeology encompasses more than just the history of industry. Sometimes, it is also about the entire community and what has been important to them. I was driving through the Great Plains over the past few weeks. 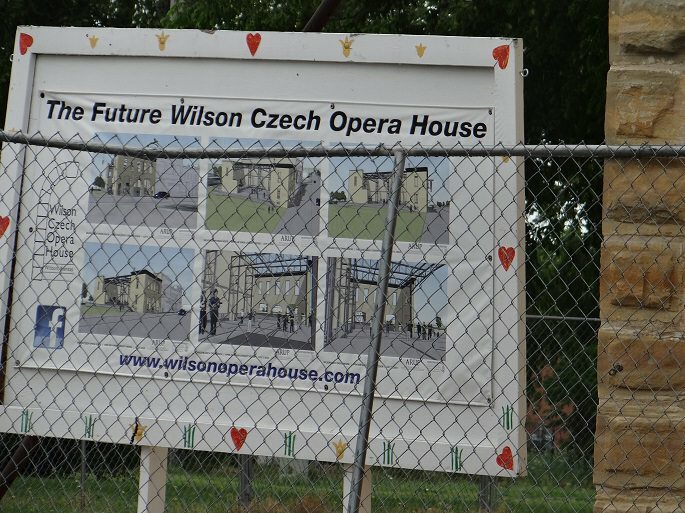 I passed through the small town of Wilson, KS, and ran across the Wilson Opera House. Online, I learned a little more about this historic site, thanks to this website. The Wilson Opera House was built in 1901. It is currently being restored, as it was destroyed in a fire back in 2009. 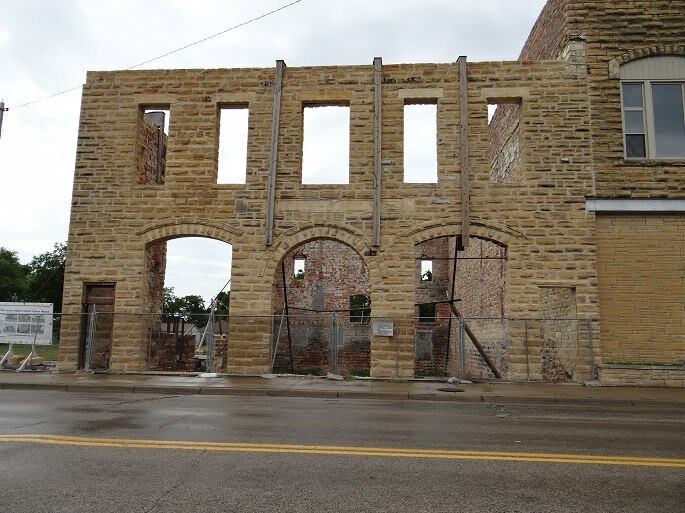 This site is the cultural entertainment center of the town, and I am glad to see that there is a project to restore it. The Opera House, and the entire town has a strong Czech heritage. 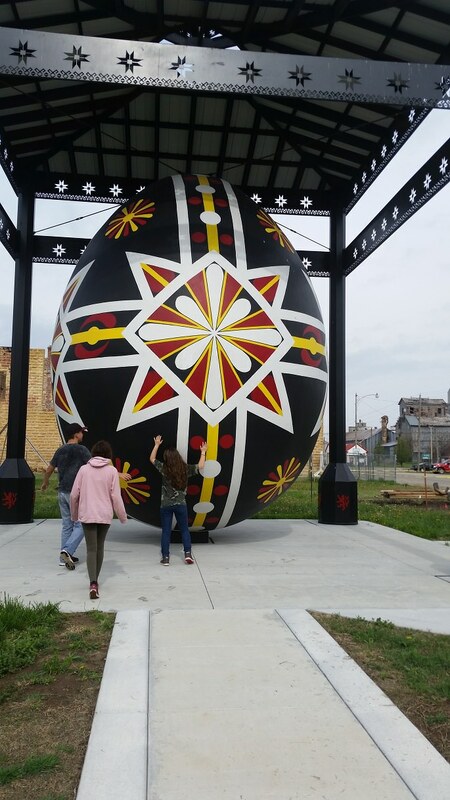 This town is also home to the World’s Largest Czech Egg, which is in the town square.